If you are an adept of using exceptionally natural materials in the construction and decoration works, please, give your special attention to the shungite tiles! Shungite is one of the most popular natural materials for the present (both from the point of view of its aesthetic characteristics and its unique ability to have a beneficial effect on the human health). Yes, these are the transformations arising in the biological energy of the rooms decorated with shungite tiles. Though the scientists do the regular research of the unique shungite properties and some really significant discoveries, this mineral still surprises the most arrant skeptics and evinces new miracles and puzzles for the mankind. Shungite is an absolutely unique mineral possessing the live energy. It contains fullerenes – a rare carbon form in the shape of hollow spherical molecules that can hardly be found in nature. If you put a piece of sungite in the container with a regular tap water it’ll change its structure and will have the melt-water-like structure. And the beneficial qualities of the melt-water have been known since the ancient times. This Karelian rock has unique antibacterial properties and can disinfect the air round itself. 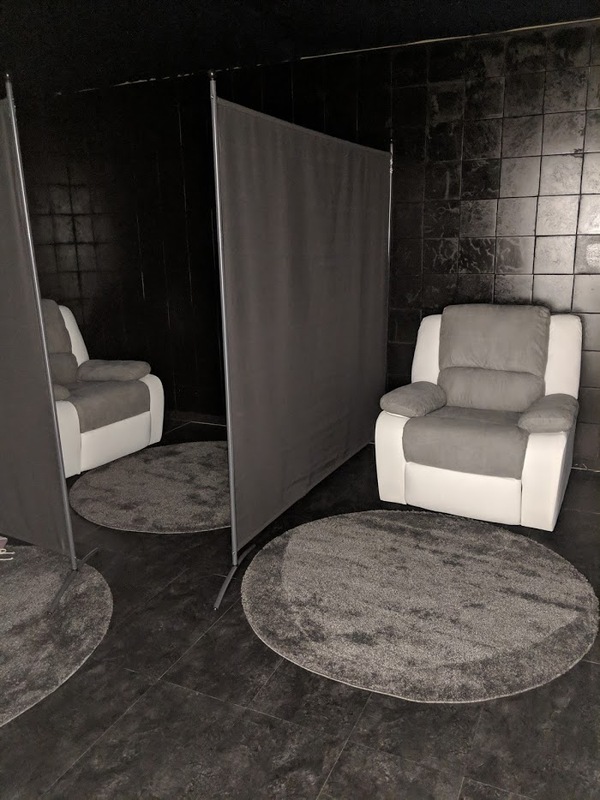 The innovative trend in bioenergetics – shungite rooms – is based on the astonishing features of shungite: a human being placed inside the room tiled with shungite plates is protected from the negative electromagnetic irradiation and geopathic zones affect as this extraordinary natural mineral absorbs “bad” waves. Moreover, it creates so-called “torsion fields” in some mysterious way and thus activates the self-healing processes in the human body. Anyone who has ever visited that shungite room says that he or she feels much better and good-humored and the fatigue disappears. The regular visits to such rooms help to treat different chronic diseases, make the immune system stronger and even discover your creative potential. Besides obvious health improvement and healing advantages, shungite tiles also have evident aesthetic and practical values. First, shungite is an extremely solid abrasion-resistant mineral that can withstand both high and low temperatures. Second, this mineral can be uniformly black or grey, ash-colored as well as sometimes have golden and white inclusions that increase the decoration and trimming opportunities to the maximum. According to the construction standards, sungite is awarded Class 1 for the construction materials and Class 2 for the finishing materials. Order shungite tiles at our website and get the gorgeous finishing material that will both decorate your homeplace and bring you lots of benefits, health and longevity.